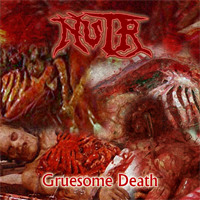 Nutr - Gruesome Death , new EP released by SET Productions on CD's . Order your copy now from here . Now you can submit your demo / ep / full length on our website HERE ! Now we are accepting more payment methods . Arsh Anubis - Anubis's Army Guided by Hades , new demo released by SET Productions on CD's . Check out Bane's new video " In Endless Silence " HERE on our videos section . We are accepting all demos and albums now , if you are a band and interested in SET Productions please Contact Us Here . Our old website was hacked so we have moved to this new site , our new email is : setproductionsegy@gmail.com . Visit our 100+ Black / Death Metal releases catalogue and order your favorite music HERE .